We are proud to announce that this Mar 22nd, 12:00 PM to 1:00 PM we will be hosting an Open House at D18 - 4505 McLean Creek Road in Peachcliff Estates MHP, Okanagan Falls. Please come with any questions you may have. 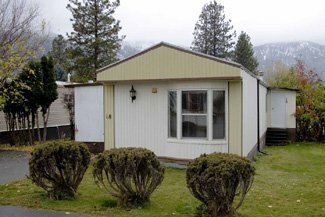 In the meantime you can take a virtual tour of this Mobile Home for sale.